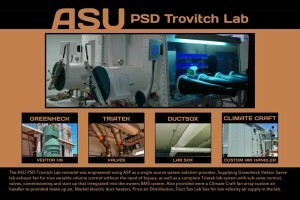 The ASU PSD Trovitch Lab remodel was engineered using ASP as a single source system solution provider. Supplying Greenheck Vektor Savve lab exhaust fan for true variable volume control without the need of bypass, as well as a complete Triatek lab system with sub-zone control, valves, commissioning and start up that integrated into the owners BMS system. 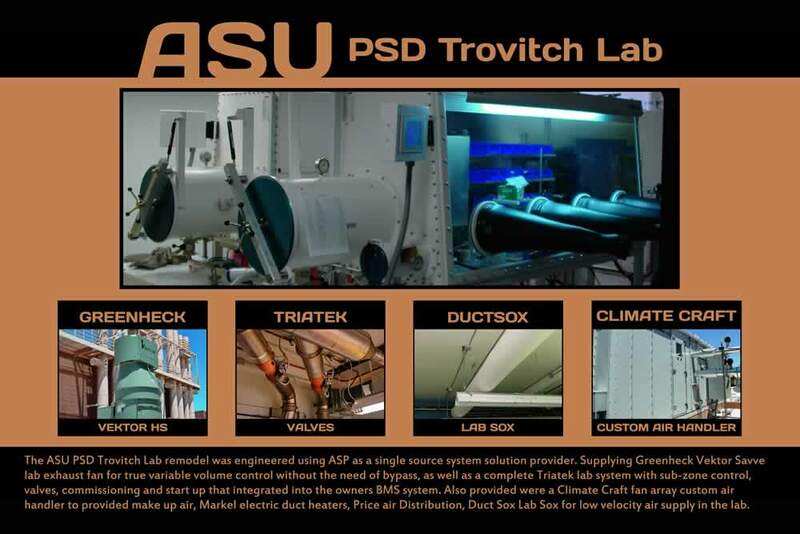 Also provided were a Climate Craft fan array custom air handler to provided make up air, Markel electric duct heaters, Price air Distribution, Duct Sox Lab Sox for low velocity air supply in the lab.